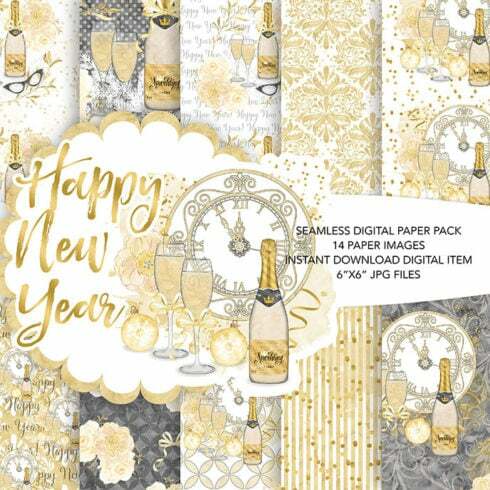 Instant download digital paper pack with 12 unique seamless designs, made in high resolution (300 dpi), 6×6 inches. 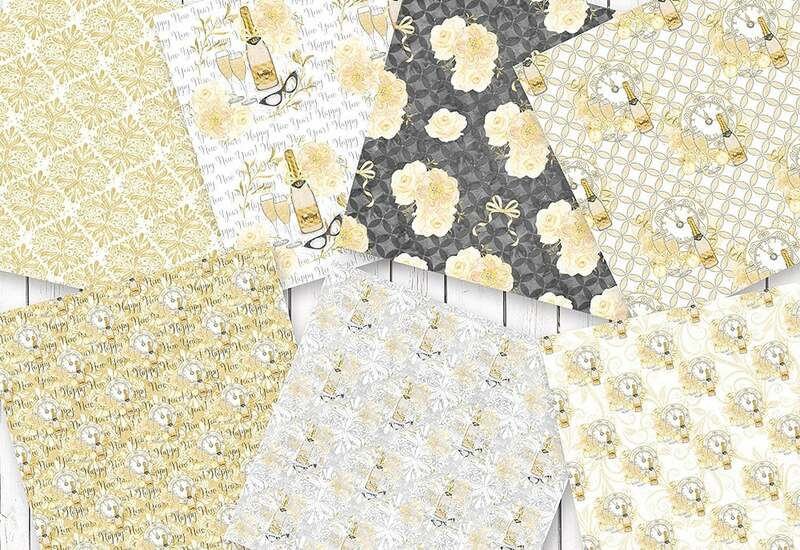 Perfect for cards, scrapbooking, wedding invitations, photo albums, gift wrapping. 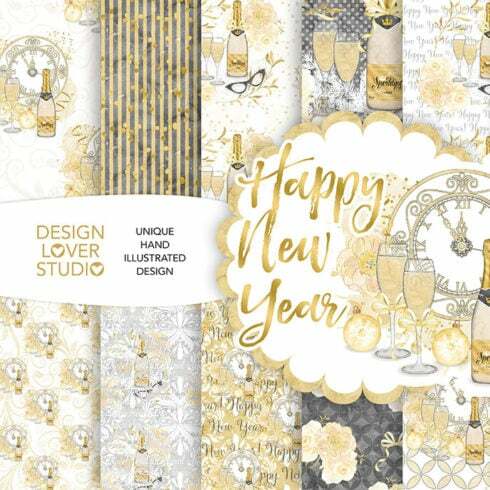 Who needs a Watercolor “Happy New Year” digital papers? Each and every work of art, regardless if it is a website design, statue or painting item possesses 2 or 3 dimensions. Other than shapes, colors and size it additionally has some properties of the surface which is observed by eye. When examining the drawing we might state that it’s coarse, glossy, matt, smooth, soft or fine. Now you know what a texture is. The design pattern can be described as visible arrangement you can see everywhere you go and every day. In fact your own residence is made up of patterns, for example, on the wallpaper that decorate the wall surfaces of the home’s living room. The pattern is a part of the picture which is predictably repeated on and on to make a bigger, geometrical and symmetrical image. The patterns could be natural (like dunes in the sand and splits in the dried up soil) and artificial (like porcelain ceramic floor tiles or Thai pagodas). 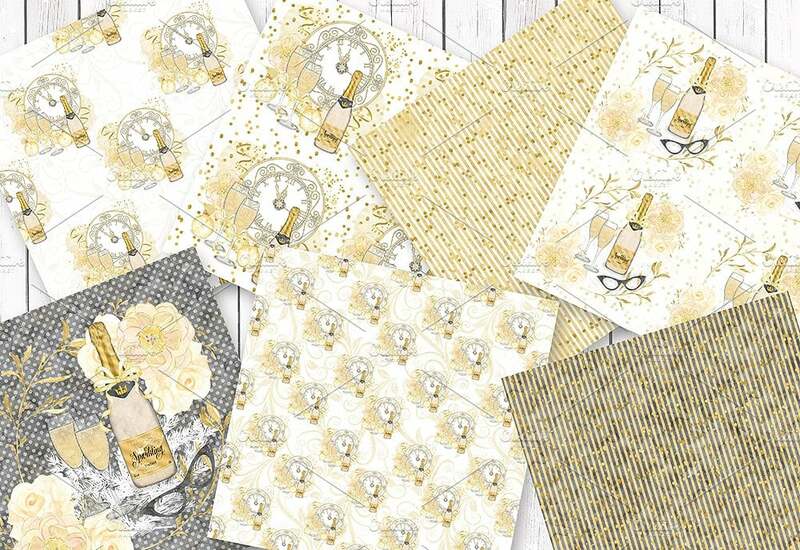 Both patterns and textures happen to be widely used in designs. Web-site designers like to utilize them given that textures and patterns are a most suitable backdrop for a web page – they do not distract the guest but highlight the actual essence of your webpage. Other than that, textures and patterns are used for various other design and style objectives (for instance, in interior design or construction). It is expensive to buy them as a stand alone, for that reason commonly patterns and textures are bought in packages. A kit is a group of graphics or other design components that can be bought as a group. The greatest thing about these item packages is their cost. A bundles will amount to many times less than each product if sold as a stand alone. In most cases, a set will include all the things you need to complete a design task. These offers are limited in time, so don’t miss your opportunity to purchase excellent web design tools and spend less. 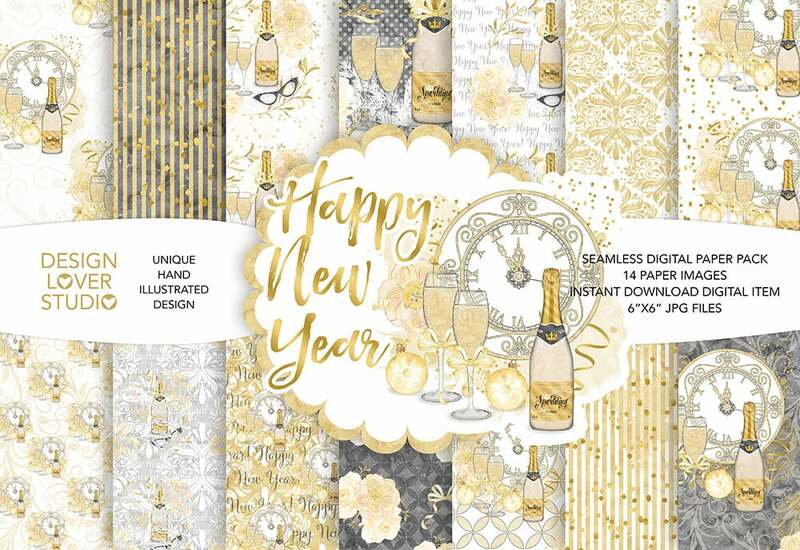 Why the Watercolor “Happy New Year” digital papers quality is so important? Let’s say the bundle does not carry all the items I needed? Master Bundles features tons of different deals. In case it seems like a certain package doesn’t provide what you need, take a look at the other ones! If you browse our selection, you will certainly discover something to match your artistic goals. The sets vary in style, difficulty, and cost, what’s similar is the high quality of our graphics. Use the site menu to make your way through our library and enjoy! Does MasterBundles market any other alternative packages? MasterBundles.com website provides a wide range of textures & patterns packages, both natural and man-made. Their price tag varies from $4 to $19 and those are high-quality, items created by professionals. Then again, textures and patterns are not the only things MasterBundles.com could offer. You can find mockups, logos and illustrations, plus lots of other stuff. You might in fact acquire web templates on MasterBundles for a cheaper price! MasterBundles.com is an online marketplace. On our resource, expert web designers sell their creations at the best prices. We provide you with the best design bundles out there, and our products are highly reviewed by customers. Visit our blog, it really is full of practical material for pro designers. Additionally, if you sign up for our newsletter, you’ll be the first to learn about our discounts. And we absolutely love discounts. You will always find discount coupons and promotional codes available to reduce the prices to a minimum.